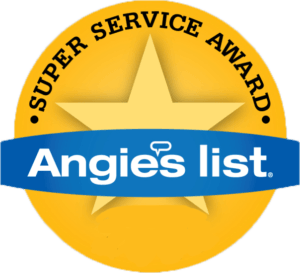 Every year, Angie’s List gives a Super Service Award to the top A-rated companies in their category, within their market. This award is based on customer reviews, as reviews let Angie’s List know which companies are providing quality service and products. Decks, Decks and More Decks has received this Super Service Award for 3 years. Our Omaha custom deck builders have specialized in custom decks for over 35 years, and as a family owned and operated business we bring our family values of dedication and quality to every project. In addition to this award, Decks, Decks and More Decks holds an A+ BBB rating – a rating determined by the quality of our interaction with customers and the quality of our custom deck products. Building or replacing a deck is a big decision and it is important to know the quality of craftsmanship and service of Omaha custom deck builders before deciding on a custom deck contractor. Check out our checklist for selecting the best custom deck company in Omaha, and give Decks, Decks and More Decks a chance to bid on your Omaha home’s custom deck project for 2016. This entry was posted in Custom Decks Omaha and tagged custom decks omaha, deck building omaha, decks omaha on February 2, 2016 by Decks, Decks and More Decks.